Mike began his insurance career in 1984 as a personal lines underwriter for Continental Insurance Company in Sacramento. In 1986 he joined USF&G as a commercial lines underwriter in San Jose, CA. The training and experience he gained in both positions are key to his success as an owner/broker for Scurich Insurance. Mike joined Scurich Insurance in 1989 and has been with the agency ever since. He focuses on commercial accounts and enjoys working closely with and getting to know his clients on a personal level. Mike graduated from Santa Clara University in 1984 with a degree in English. A fire in the hills above Corralitos destroyed several vehicles and spread into the surrounding brush Friday afternoon, but was quickly contained, CalFire reported. The fire was reported just after 1 p.m. near 1936 Eureka Canyon Road. The area was described as both a field and a parking, about 100 square feet and was surrounded by a road. It’s about six miles up the hill from the Corralitos fire station. Ground crews, helicopters and an air tanker were called in but the firefighters on the ground were able to handle the fire, according to emergency radio traffic. 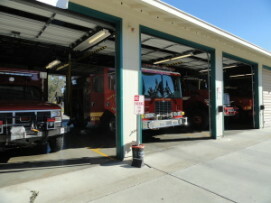 A CalFire official said three or four vehicles were consumed in the blaze. CalFire crews extinguished the fire within 30 minutes, the CalFire official said. The area where the small fire sparked has been ravaged by wildfire in recent years, motivating residents to be vigilant about possible fires and proactive about preventative measures, such as creating defensible space around their homes. “Thank you” signs dedicated to firefighters are a permanent fixture in the rural, farming area. Always be prepared. Scurich is here for all your Insurance needs. WATSONVILLE, Calif., Sept. 22, 2011 Summer may be winding down, but California strawberry farmers are still busy planting and harvesting strawberries all year round. To celebrate their continued availability, the California Strawberry Commission today announced its “Fall for Strawberries” Recipe Contest kicking off the first day of fall with winners announced the week before Thanksgiving. Strawberry recipe contest winners will receive a total of $1,000 in Amazon gift cards: first place – $500, second place – $350, third place – $150. Winning recipes will be featured on the California Strawberries website for all to share and enjoy. Born in Watsonville Tony has been in the insurance business since 1981 and with Scurich Insurance since 1983. Tony is married with 3 children, graduated from Watsonville High in 1977 and Santa Clara University in 1981. Past and present community activities include board member of St Francis High School, Pajaro Valley Historical Association, YMCA (board member and youth basketball coach), Boy Scouts of America and, Pajaro Valley Chamber of Commerce (board chair in 2004). Tony specializes in all types of insurance but mainly in Agriculture, Contracting, and Agriculture related services. Being in touch with 50-60 customers a week, the toughest part of his job is balancing the various moving parts of the insurance business, making sure his customers are taken care of as well as keeping on top of the underwriting. If there was one thing Tony could say to single people who are young and just starting out on their own, it would be to start saving for retirement and looking into a life insurance policy, early planning is key. Tony feels very fortunate with Scurich Insurance. He says that he has a fantastic staff and is very confident that things will always be taken care of. Because of his great staff, he has very positive feedback from his customers. Scurich Insurance is definitely a company that gives you peace of mind knowing that you are well covered and fully supported.